The American Bar Association informed the Senate Judiciary Committee on Friday that it was re-evaluating Supreme Court nominee Brett Kavanaugh’s “well-qualified” rating following his testimony on sexual assault allegations against him. 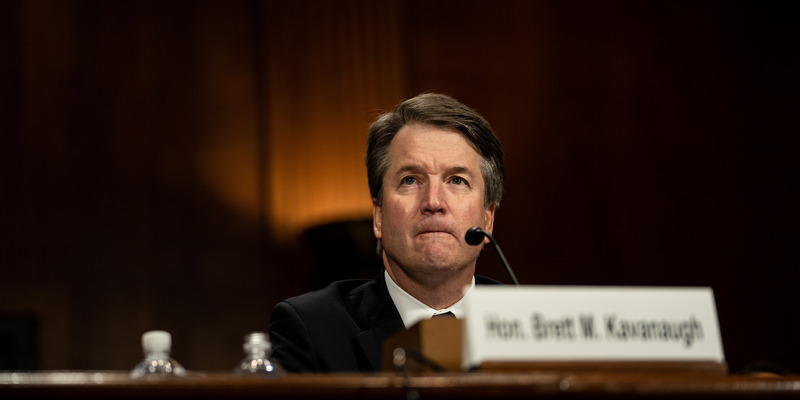 Kavanaugh was criticised for coming across as overly emotional, partisan, and biased when defending himself against allegations he sexually assaulted Christine Blasey Ford at a Maryland house party in 1982. The National Council of Churches, former Supreme Court Justice John Paul Stevens, and over 1,000 law professors have publicly spoken out against his confirmation. The American Bar Association informed the Senate Judiciary Committee on Friday that it was re-evaluating Supreme Court nominee Brett Kavanaugh’s “well-qualified” rating just hours before the Senate was scheduled to make a key vote to advance Kavanaugh’s confirmation. “New information of a material nature regarding temperament during the September 27th hearing before the Senate Judiciary Committee has prompted a re-opening of the Standing Committee’s evaluation,” a representative for the ABA’s Standing Committee on the Federal Judiciary said in a letter to Judiciary Committee Chairman Sen. Chuck Grassley. “The Committee does not expect to complete a process and re-vote prior to the scheduled Senate vote,” they said, adding that their former “well qualified” rating would stand until their evaluation was complete. Kavanaugh was heavily criticised for his demeanour during his September 27 testimony before the Senate Judiciary Committee over allegations he sexually assaulted Christine Blasey Ford at a suburban Maryland house party in 1982. During his testimony, he said the sexual misconduct allegations were a Democratic conspiracy to get revenge on him for his role as an associate counsel in the Justice Department investigating President Bill Clinton’s affair with Monica Lewinsky, and asked Sen. Amy Klobuchar if she had a drinking problem. In the wake of his testimony, the National Council of Churches encouraged senators to vote no on his confirmation, and over 2,400 law professors from across the country signed an open letter in The New York Times opposing his confirmation. A former Supreme Court justice even came out against Kavanaugh’s confirmation, leading Kavanaugh to write a rare Wall Street Journal op-ed defending his independence and impartiality.